Meet with us for a free in-home moving consultation, and we'll customize your perfect strategy for a guaranteed flat rate! As the heart and soul of Silicon Valley, San Jose is certainly no stranger to growth and change. If your household is one of the thousands moving into or out of this major national hub, make your journey easier by trusting it to some of the most acclaimed movers in San Jose: Upline Moving! We may be a locally based and family-owned moving company, but our expertise reaches far beyond the Bay Area. In fact, with A+ BBB accreditation and AMSA ProMover certification, we can tackle your family’s move anywhere in the country. Item-based pricing (rather than by weight). Choosing household movers means trusting all of your most precious belongings to strangers—and Upline Moving recognizes just how important it is to earn your satisfaction through conscientious and professional packing. 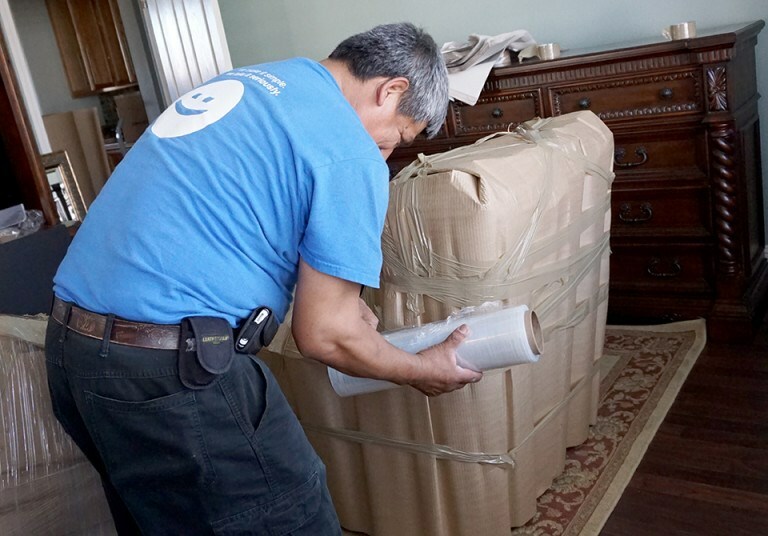 All of our San Jose movers are carefully trained in packing best practices, including special strategies for heavy, bulky, delicate, and awkwardly shaped items. For even greater peace of mind, we can also help you choose full-coverage insurance for your move! Need a place to leave your furniture, seasonal décor, or extra boxes while you settle into your new home? We offer secure storage in warehouses both here in San Jose and all across the country, ensuring that dependable storage is always within reach throughout your entire moving journey. Our clean facilities are equipped with modern security monitoring and can be arranged for both short and long term periods. Request a Free, Flat-Rate Quote from Our Skilled Movers in San Jose! Are you ready to get started with expert Bay Area movers? Whether local, interstate, or long distance, Upline Moving is prepared to help you begin right away with a free in-home moving survey and guaranteed quote. For simple moving services from a “Best of San Francisco” award winner, give us a call today! You can also sign up for your free quote now by submitting our easy online form with just a few details.